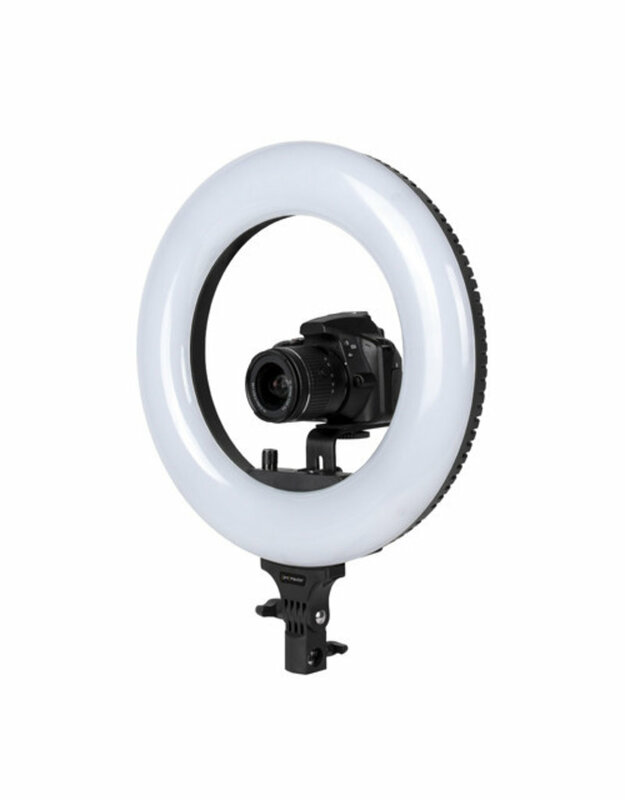 The PROMASTER BASIS BR130D RINGLIGHT creates an attractive, glowing light that appears soft and even on your subject, with reduced shadows. It’s great for still photography and videography in portraiture, fashion, interviews, and more. 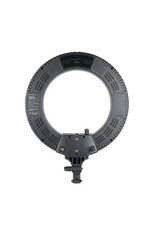 A natural, round catchlight will appear in the subject’s eyes. 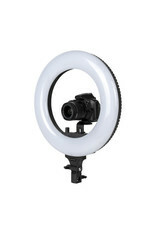 This light also decreases the appearance of blemishes due to its direct, near-shadowless illumination. 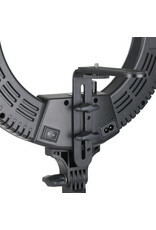 A center-mounting camera bracket is included. 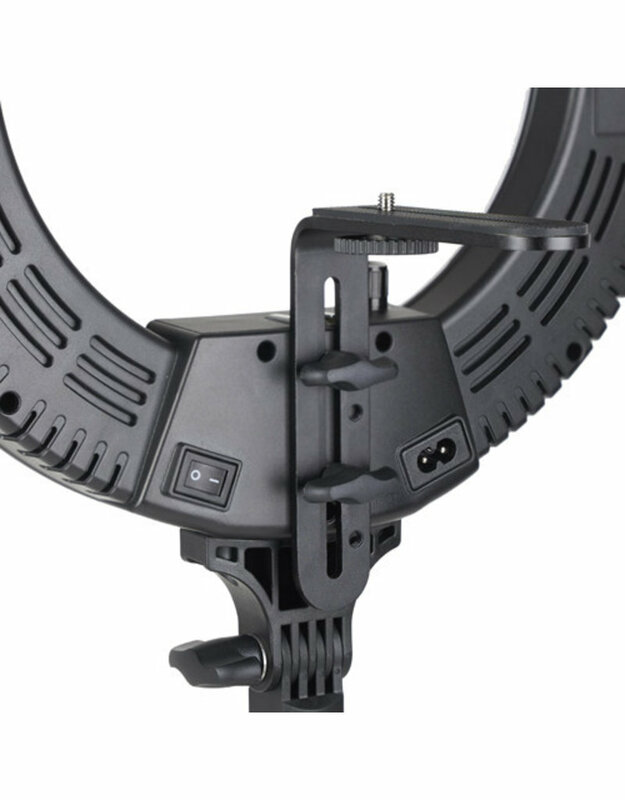 Attach your camera directly to the bracket or add a tripod head for a greater range of adjustments. 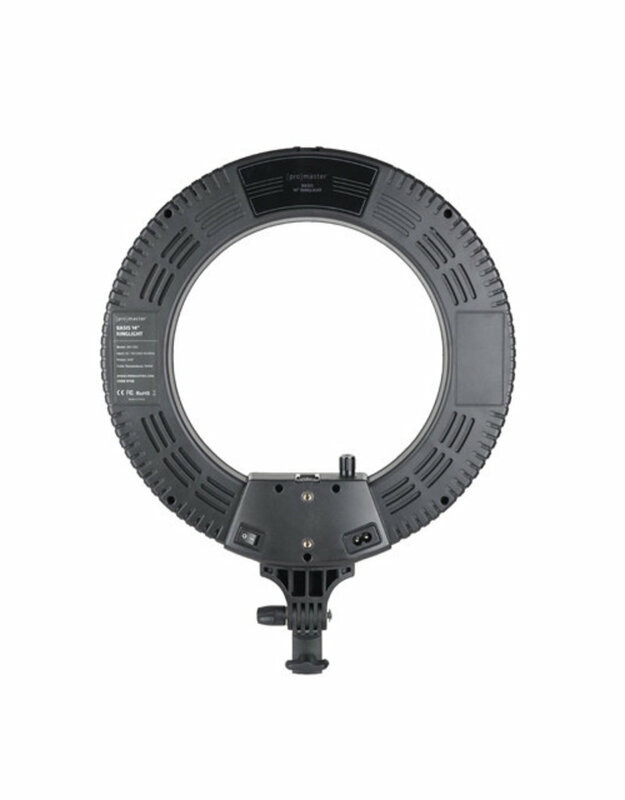 The BR130D is daylight balanced with an adjustable brightness of 10 – 100%. It runs on AC power and includes a generously long power cord.